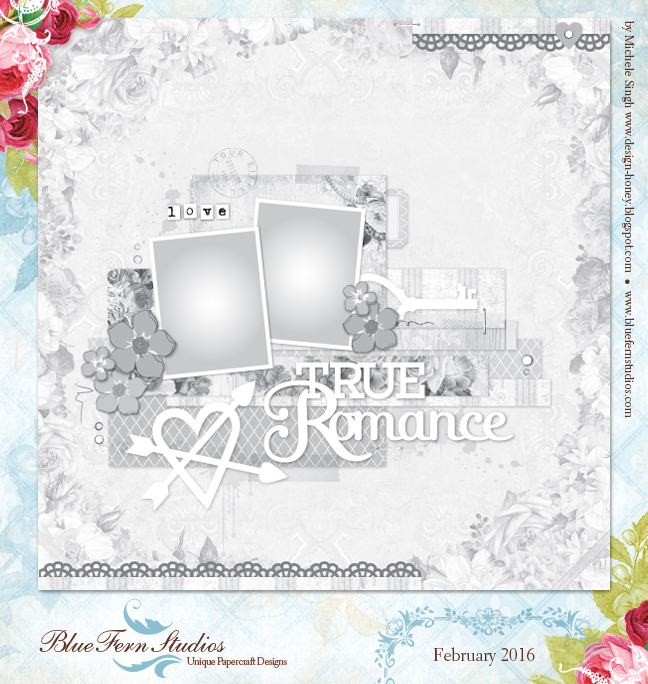 Below is the layout I designed with the Blue Fern Studios February sketch challenge. 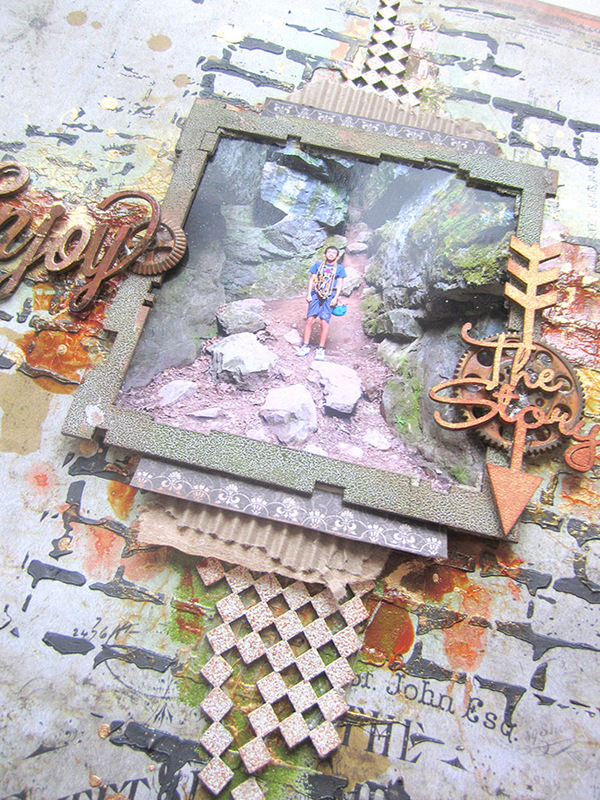 I used the new Timeless collection as it has earthy tones that matched my rock climbing photo. I rotated the layout because I wanted to give the composition a downward movement. 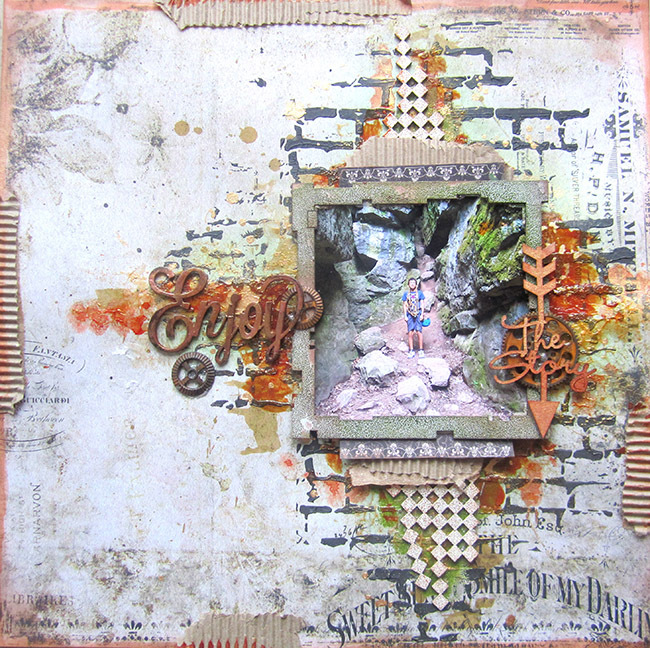 I used the checkered bits chipboard to create this movement and embossed it in BFS Oatmeal embossing powder. 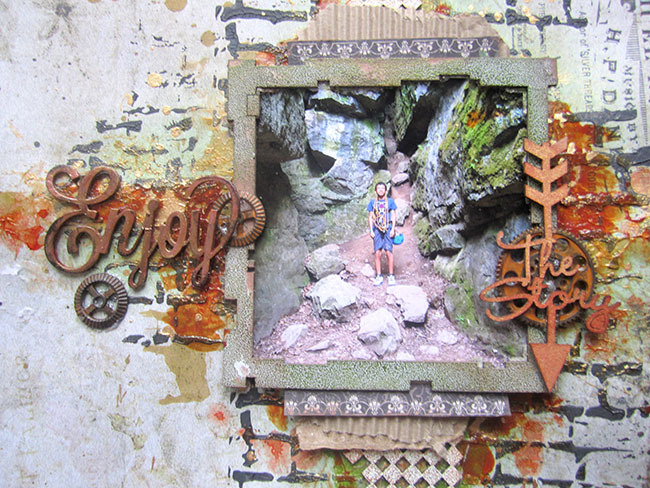 I framed the photo in one of the chipboard Techno squares. It was embossed in Blue Fern Studios Sage embossing powder. I used a brick stencil and the PentArt iron paste to create the brick pattern in the background. Then I sprayed with textured spray and Empress Gold Color Bloom spray to create color and texture behind the photo. 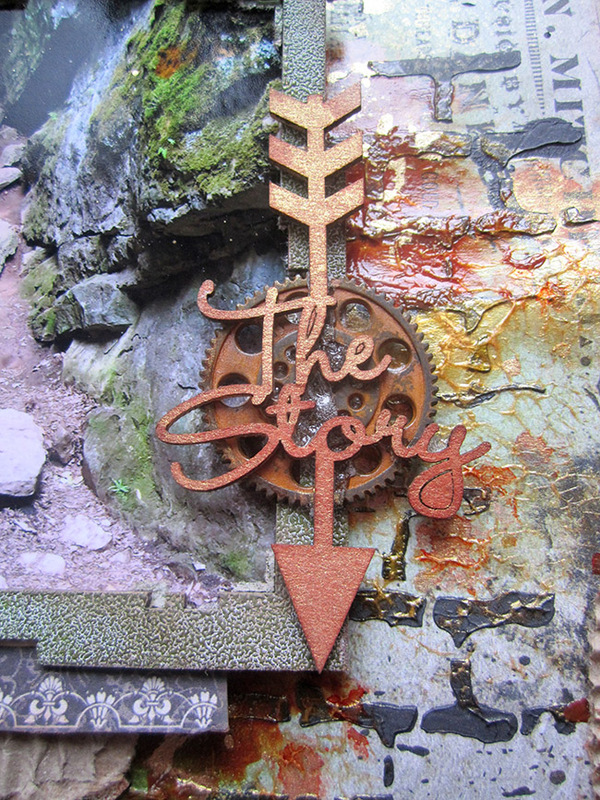 Finally I used the word Enjoy from the “Enjoy the Journey” chipboard title and I also used one of the arrow words. They were each sprayed with a matching shimmery and textured spray. So very gorgeous – your background is an awesome extension of the photo.